I have a customer that has 17 machines in a large steel building, that are not line of sight, because the machines are huge. So I would like to monitor one digital input (running) from each machine, report back to a “master” located in one corner of the building where the MCC is , so that when all the machines are off, I turn off the circulation water pumps. What is the best solution for this application. It must be wireless. Are you wanting to turn off the water pumps wirelessly as well or does the MCC already have this functionality? I will take the outputs from the “master” to an existing PLC input and turn the pumps off from the PLC. Yea I think that clarifies it. I was wondering if you’d need wireless outputs (relays, serial, rs-485 etc.) as well or just the sensors. If I misunderstood and you do need wireless outputs let me know what kind and I’ll see what we can work out. Also the wireless protocol used by these modules is mesh-enabled so it can bounce data off of “Wireless Routers” to get data to the modem. A wireless router is the exact same hardware as one of our wireless modems, but it will not be connected to a computer. Instead it will just stay powered all the time and look for packets to re-broadast. I think I understand the dry contact transmitter, however, so I need the transmitter to send a signal to a “master” that will output each transmitters status, either contact open or contact closed. So 17 relay outputs, that I will use to a PLC. Not sure the USB gateway/modem receiver does that. Sorry for the confusion, hope that clarifies it a little. Alright I think I got it this time. You want to do this without a computer. So all of your pumps (or maybe just one pump) is located in one location? 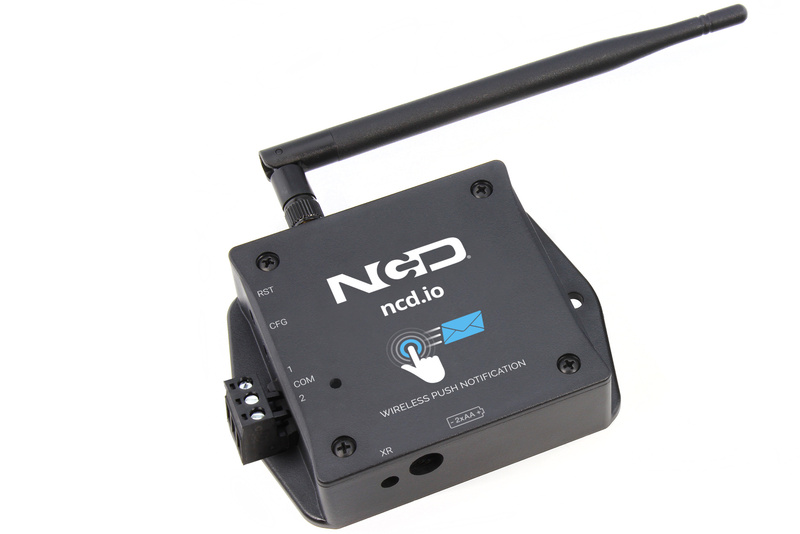 Normally I would recommend the MirW series (https://store.ncd.io/product/mirw-contact-closure-multi-point-to-point-24-channel-2-mile-range/), but it states a limitation of only 8 transmitters. I’ll need to check with the design engineer on that product and see if that’s a hard limitation. Either way I think that’s going to be about the closest we have without building something custom. Yes, the starters for 2 pumps are located where I want to place the “master”, and yes, no computer. I looked at the MirW as well. Thanks for digging into this. No problem, took me a minute, but I figured out what you were aiming for. It looks like the 8 devices isn’t a hard limit, its there so that people won’t install a ton of them and run into RF collision issues. How close in proximity are the devices to each other on average and what is the longest distance from the furthest machine to the corner of the building where the MCC is located? Granted if you test all 17 transmitters on a bench with the receiver it might be spotty. The MirW series supports the meshing communications of its wireless protocol so even if there isn’t line of sight it will be re-broadcast by an intermediary device to get to the receiver. 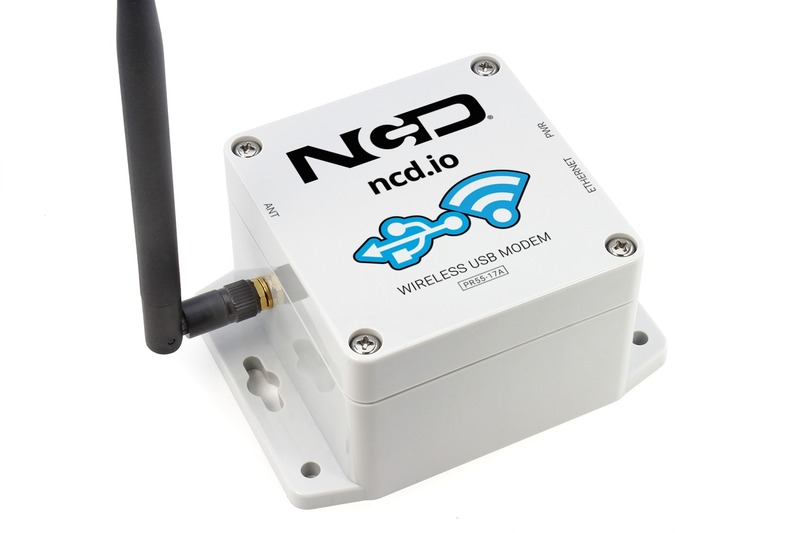 So do you work for NCD, can I purchase directly from you, or is there a distributor that I must work through? More info, so the building is 120’ x 300’, open steel roof, 40’ to the rafters. Spacing between the machines is roughly 50’ max. The number of machines to monitor is now 9, however, the customer would like the option of being able to add machines up to 16, or maybe even reduce the number to 8, so a second “master” is not necessary. Or is there another number of relay “master” besides 8? So each machine has its own control panel, I don’t know exactly what is inside each panel at this point for space. So my thought is to mount the single channel transmitter in a plastic enclosure, with the antenna mounted through the top. A hole between the Machine Panel and the plastic panel to pass wire and power through. Can I try the communications without the mesh option and is it easy added if the communications does not work? Only need 5 amp relays on the “master”. Do I still need the USB configuration adapter? This has a really quick payback, so I think this will be approved rather quickly. Can you get me a quote or if I need to go to a distributor can you get me that info as well. What are the dimensions of the transmitter board, so I can size a plastic enclosure? Hi Lance, I do work for NCD. You can purchase directly from NCD and this would be the most straightforward way. No pre-approval necessary and you just need an account on the site. The receiver board has options for 1, 2, 4, 8, 16, 24, and 32 channels. The transmitter has options for 1, 2, 4, and 8 channels. The only issue I see here is the ability to add more transmitters later. This series can be extended, but its not something the customer can do easily. They’ll need to work with one of our techs at NCD to add more transmitters. Additionally the transmitters and receivers can be sent back to us for reconfiguration to add more transmitters. A general overview can be found at https://media.ncd.io/sites/2/20190212094414/MirW_Quick_Start_Guide.pdf under the section “Connecting to a Computer”. Its fully documented and ready for customization (except for transparent mode and destination address, leave them as they lay or you may cause issues with the xmitter boards). As for what is missing: The guide referenced earlier state that you’ll want a ZUSB module to reconfigure the boards to add new transmitters. You don’t need it now, but keep this in mind if you want to do this yourself in the future. I think I’ve got it figured out now. I have not seen anything on the single contact/transmitter module, can I purchase those individually if they decide to add another machine. or is that where I have to send the “master” relay controller back to get it configured for an additional “input” transmitter. The transmitters are available as Add-Ons under the Buy Now tabs on the MirW product pages. In essence it is a contact closure input detector that transmits on state change. It runs on 12VDC and is suggested to use at least a 250mA power supply. You’ll need to contact us to purchase them individually. We’ll provide a method to do so when needed, but we don’t leave them active so that users don’t think it will work as soon as its powered up like the original boards did. Whether you send them back or do it yourself is up to you, but most customers opt for factory reconfiguration in the rare cases where expansion is necessary. will this enclosure work for the MIRWFLL_FXR165_2MILE 16 channel controller? I am assuming that the transmitters and relay controller each come with an antenna? The enclosure that I referenced earlier for the 1-channel transmitter won’t fit the receiver. We don’t have a recommendation for enclosure on that receiver. Yes, the antennas are included on both the transmitter and receiver. Really all of our wireless communication interfaces come with the appropriate antennas. Gotcha, saw the antennas when I went to checkout. So I need to find standoffs for the receiver, blah blah blah and an enclosure? Those mechanical drawings we have on the receivers are from an old software that is now defunct. That software had the tendency to round measurements for some reason. Just letting you know you may want to take your own measurements for the enclosure when the item is received. Sounds good. I will wait till I get the receiver to take measurements. So the inputs to the transmitters, I need to provide a dry contract closure to the input, correct. No voltage from me. I think this is the last question. By the way, I watched a couple of the videos as well. You guys have a nice, inexpensive product. That is correct, no voltage on the input. Haha thanks, we like to think so as well.